Sunday, December 1st Shonen Knife will play with SEBADOH at Kyoto"Metro"!! 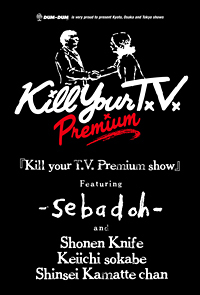 Shonen Knife will play at DUM-DUM LLP presents "Kill your T.V." 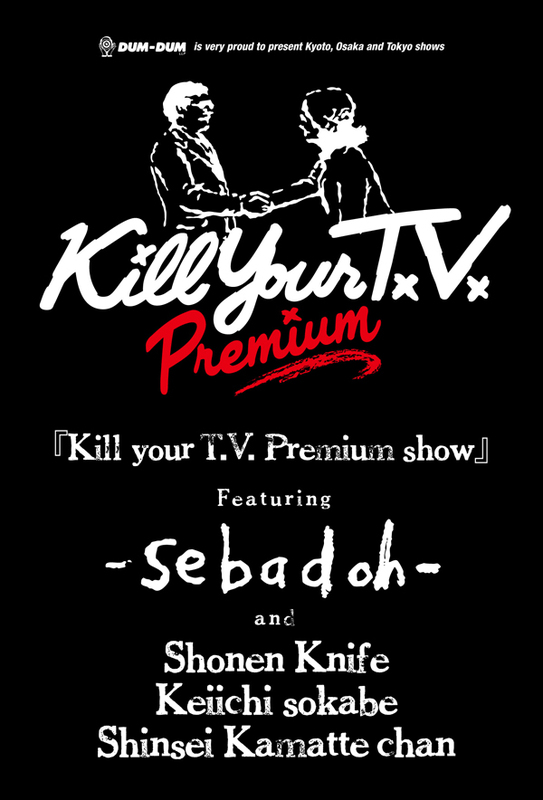 Premium Show with SEBADOH! Please come and ROCK with SEBADOH and Shonen Knife! Date: Sunday, December 1st　Kyoto "Metro"
Friday, November 1st Naoko will join LEO IMAI's show in Osaka! On Friday, November 1st, Naoko will play as a guest player for LEO IMAI's show in Osaka. Shonen Knife will play at "EL RODEO WIDE WILD 29th PARTY" on Thursday, November 21st! Shonen Knife will perform at " EL RODEO WIDE WILD 29th PARTY ". This event is for the 29th anniversary of a fashion brand "EL RODEO". Not only Shonen Knife show but fashion show and lottery will be held. You can get a gorgeous prize, too! Tickets are available at EL RODEO group shops. Please come to the party!!!
" EL RODEO WIDE WILD 29th PARTY "
Naoko wrote a song for Tartetatin! 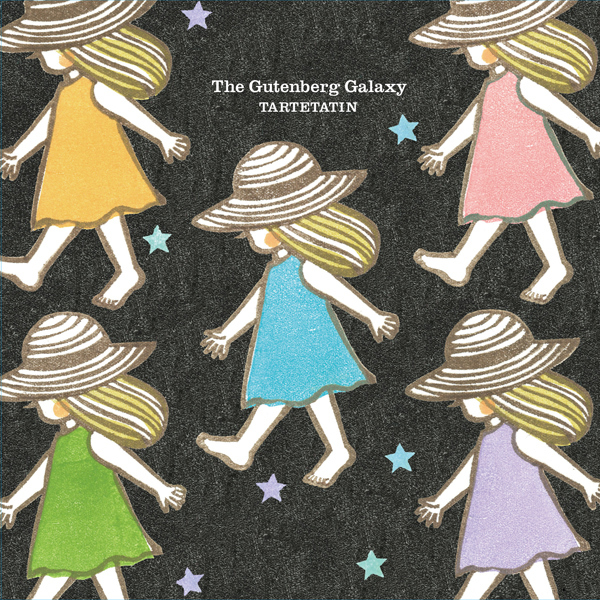 Naoko wrote a song for Tartetatin's new album "Gutenberg-no-gingakei" (The Gutenberg Galaxy) which will be released on Wednesday, October 23rd. The 6th song of the album "Virtual Disco" is a brand new version with Japanese lyrics of "Chinese Disco". The album has Hideki Yoshimura and Hisako Tabuchi from bloodthirsty butchers' songs, too. I tried to make a sequel of Shonen Knife's "Chinese Disco" with Japanese lyrics. 13 years have passed since "Chinese Disco" was written, the new epoch is coming and people's brain is getting into cyber space. Then what's happening?! The image of "Virtual Disco" is like that. I hope you enjoy a little scary world with Tartetatin's cute voice.